A quick bread cooked on the stovetop? Yes, it’s not only possible, but I highly recommend it! 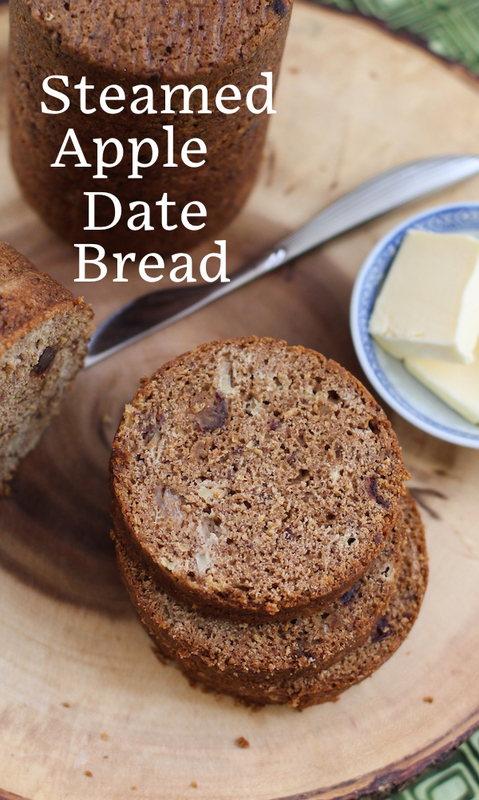 This steamed apple date bread is so easy to make and it is chock full of flavor with sticky dates, tart chopped apple and brown sugar. 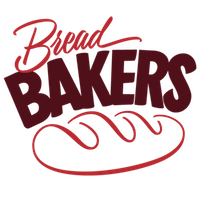 This month my Bread Bakers event has an unusual theme: Catch up! Our host Pavani from Cook’s Hideout proposed that we make a bread from a past Bread Bakers theme that we missed participating in. 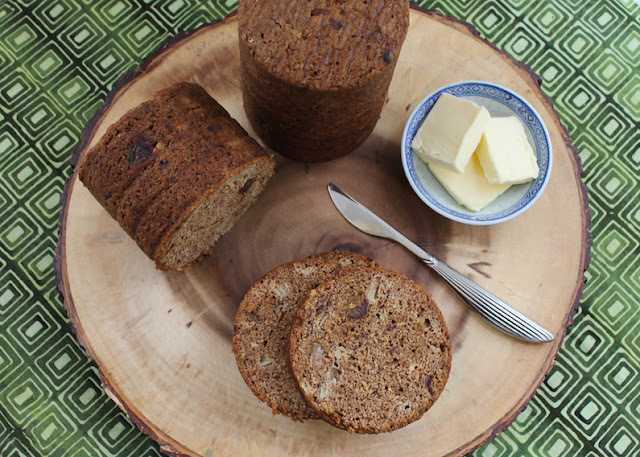 This steamed apple date bread is my 52nd Bread Bakers recipe and, if you care to do the math that means I’ve only missed one event since I started the group in September 2014. I missed Steamed Breads in August 2017 because my daughters and I were making the cross-country trek from the Boston to Los Angeles. Truth be told though, I wasn’t that disappointed. You see, I am not really a fan of steamed bread. 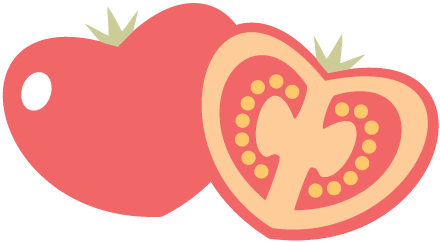 It’s often pale and anemic looking and needs a filling to make it worth eating. If I wanted to participate this month, I decided that the ingredients needed to bring some color as well as flavor to my bread. Dates and brown sugar seemed like a good idea. My neighbor and very good friend Sandra very kindly gave me some sweet dates from her date palms and she also shared her microwaveable date loaf recipe. 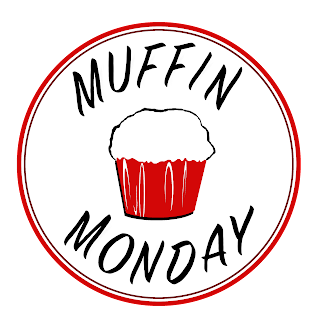 (It’s fabulous and you’d never guess it was “baked” in the microwave!) 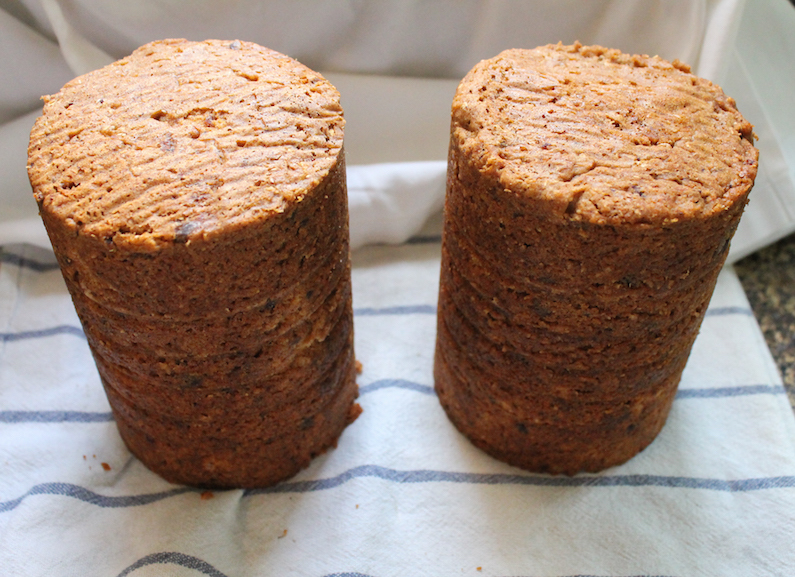 I merged hers with one on the King Arthur website for a harvest bread steamed in a pudding bowl (the misleading accompanying photo aside), and the method for Boston brown bread steamed in coffee cans which does actually turn out cylindrical. 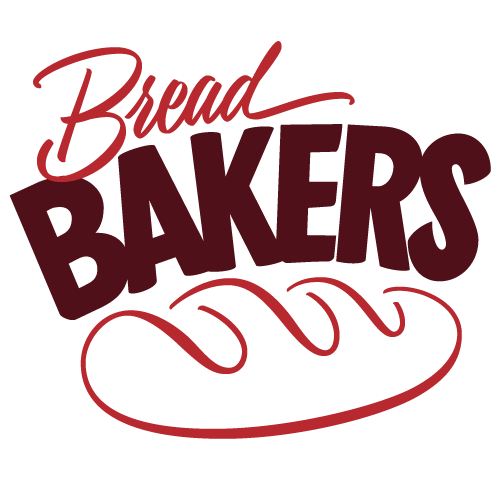 This bread is sooooo good! Just sweet enough with a tender crumb, great flavor and lovely color. I can now say that I like, nay LOVE, steamed bread. Enjoy these two loaves simply sliced, or toasted and buttered. Either way, they are perfect for breakfast, coffee breaks, snack or teatime. Without ever turning your oven on. Place the chopped dates, brown sugar, yogurt and butter into a small pan and cook over a medium low heat until it starts to boil, about 4-5 minutes. Grease the insides of two coffee cans with melted butter or non-stick baking spray. Bring a teakettle of water to a boil. 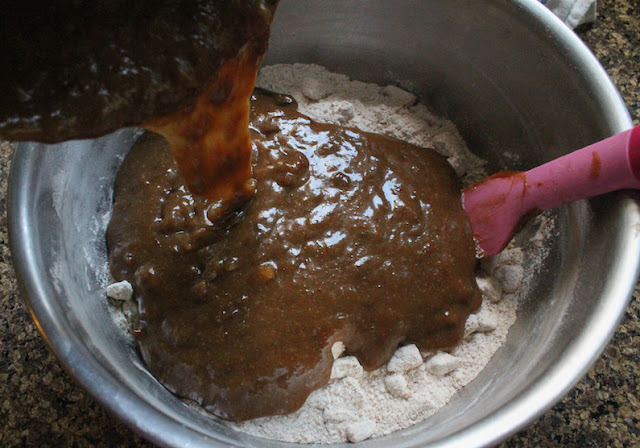 In a large mixing bowl, combine the flours, baking powder, salt and spices. 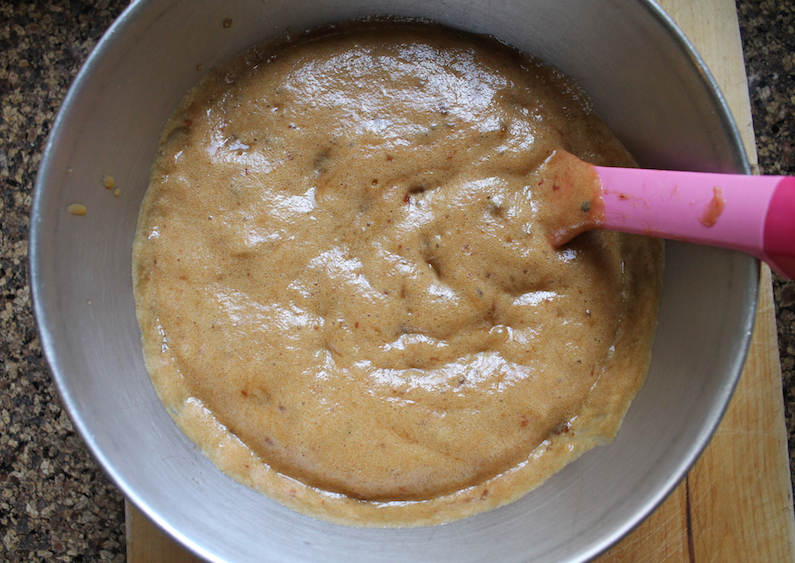 Tip in the chopped apple and stir well to coat. In another bowl, beat the eggs. 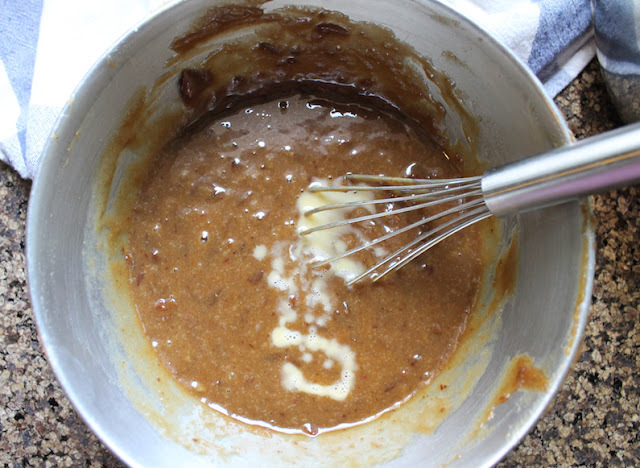 Whisk in the cooled date mixture. 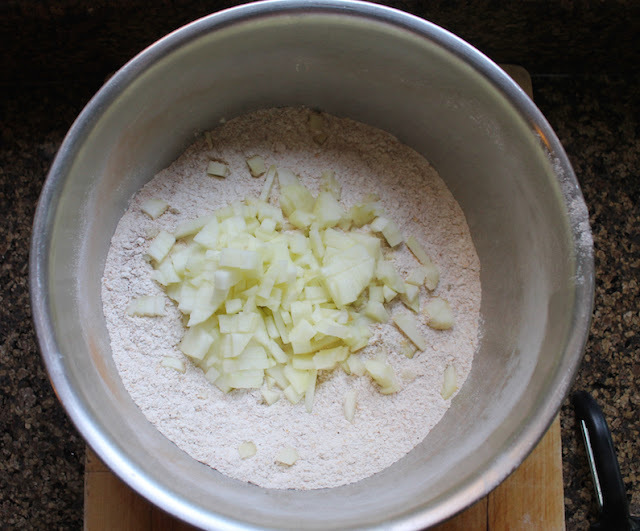 Fold your wet ingredients into the bowl with the dry ingredients until just mixed. 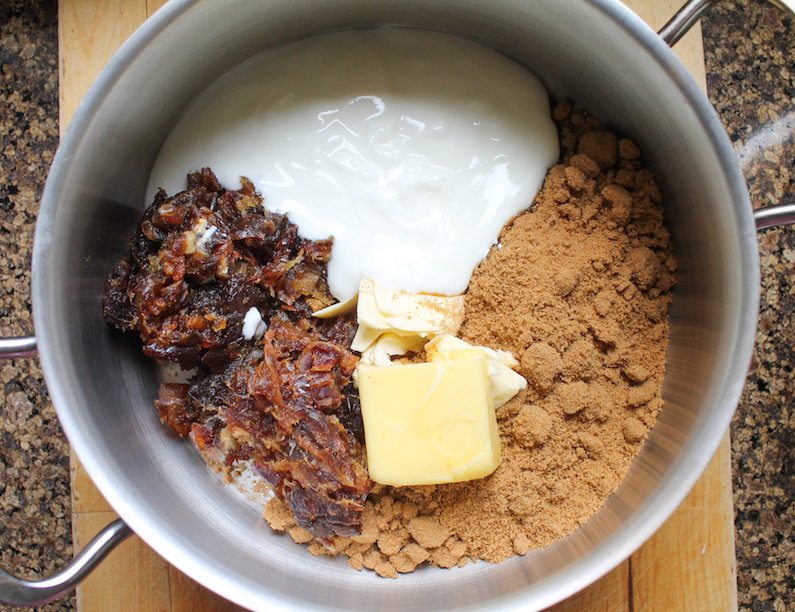 Divide your thick batter between the two greased coffee cans. 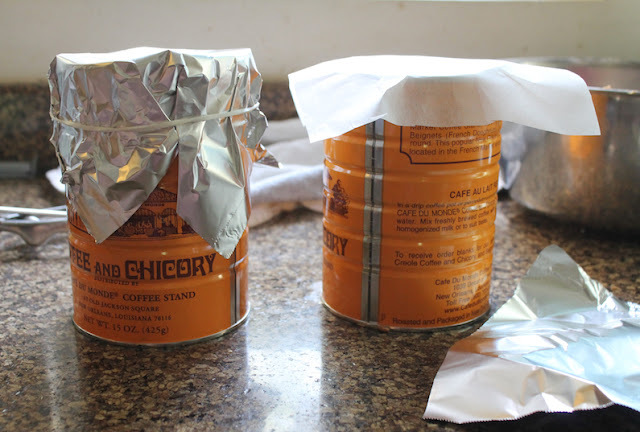 Cover the cans with a square of baking parchment, then hold it in place with a square of aluminum foil. Secure the foil with poultry string or silicone rubber bands. 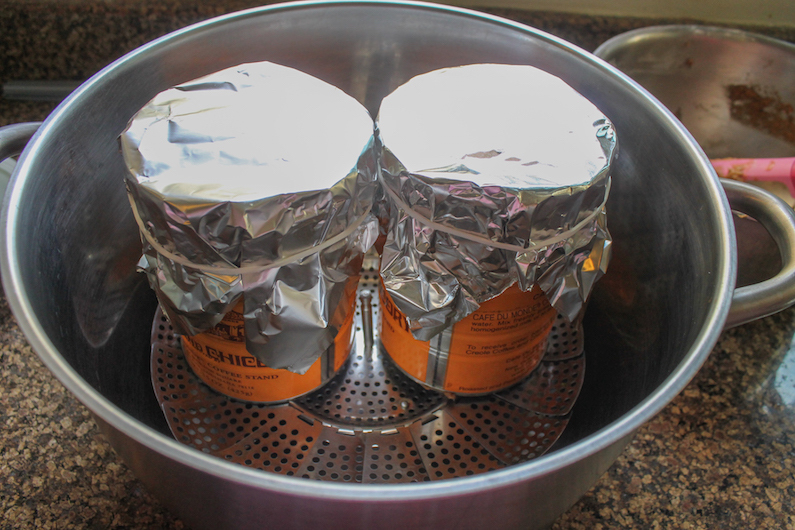 Place the coffee cans in a deep stock pot on top of a vegetable steamer or some crumpled foil so they don’t touch the bottom. 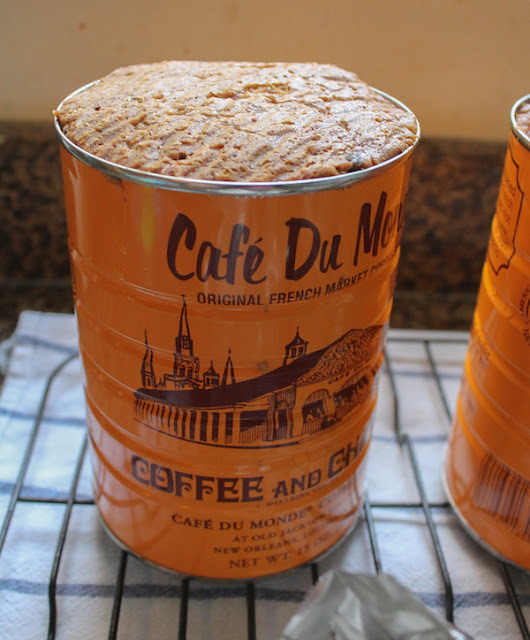 The pan should be deep enough so its lid can cover top of the coffee cans. Fill the pan with boiling water two-thirds of the way up the coffee cans. You may have to boil another kettle of water if you are using a vegetable steamer, which will lift the cans quite high off the bottom of the pot. Cover, bring the water back to a boil and lower the heat to a simmer. 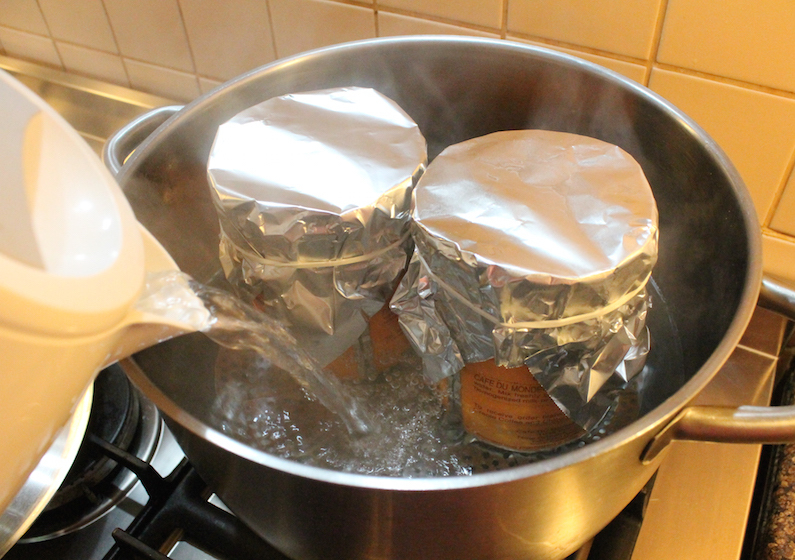 Steam the two coffee cans for about 2 hours, adding water to the pot if necessary. Remove the cans from the pot and take off the foil and parchment paper. 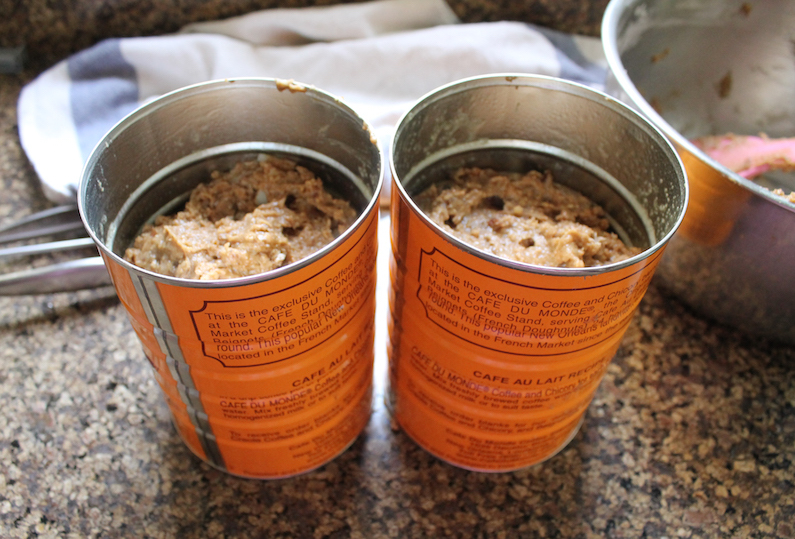 Leave to cool for at least 30 minutes before turning the loaves out. 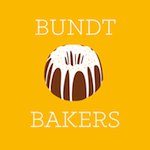 Check out the rest of the wonderful bread recipes my Bread Bakers are sharing today. Many thanks to Pavani of Cook’s Hideout for hosting this month. 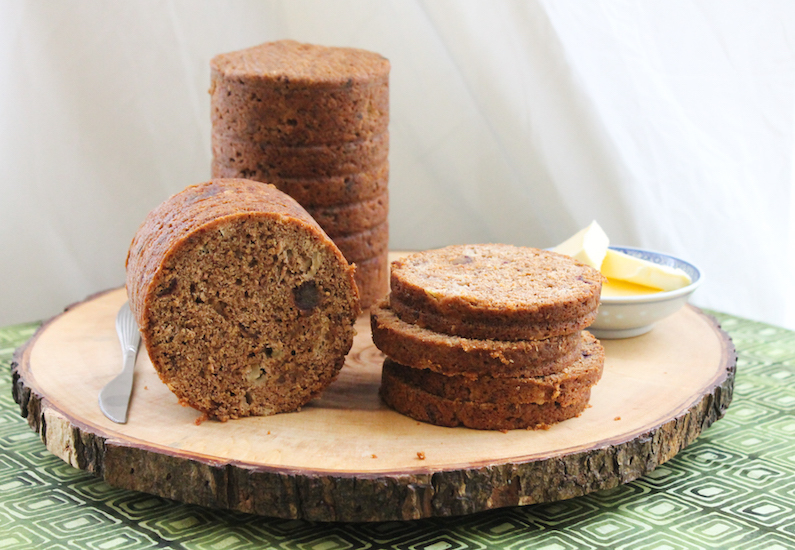 Pin this Steamed Apple Date Bread!